vaulting box more suited for very young gymnasts. Vinyl padded top can be used with 1, 2 or 3 sections giving considerable versatility. Dimensions: 1340mm long x 630mm high x 680mm wide at base. Top is 420mm wide and each section is 185mm high. 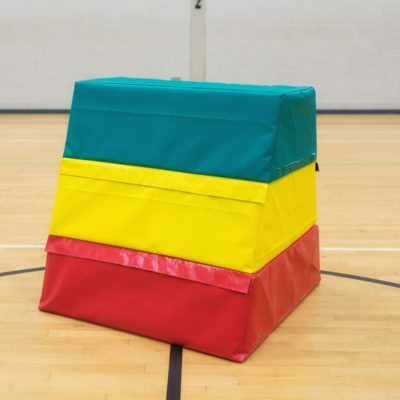 Finally a vaulting box more suited for very young gymnasts. 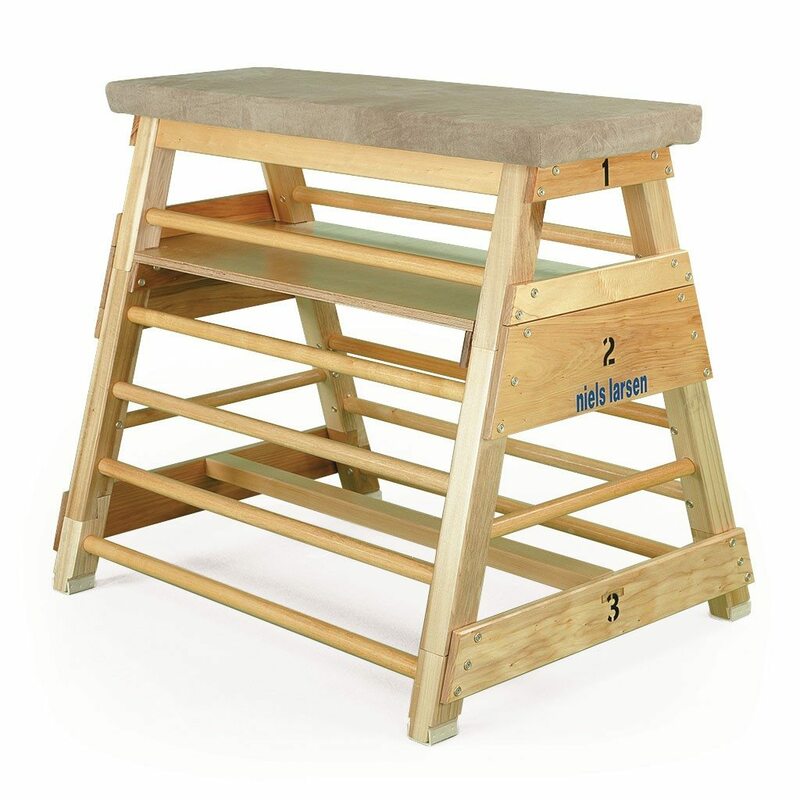 Comprising of 3 sections with handholds for ease of lifting and each section having rubber feet so that the vinyl padded top can be used with 1, 2 or 3 sections giving considerable versatility.